A trip to Italy means amazing food & wine, inspirational design and plenty of sightseeing. The hotels and inns that made our list are location in some of the top romantic destination such as Portofino, Taormina, Lake Garda, Venice, the Alps and Tuscany. Choose from a diverse selection of activities such as golf, horseback riding, wellness centers, massages and scenic tours. 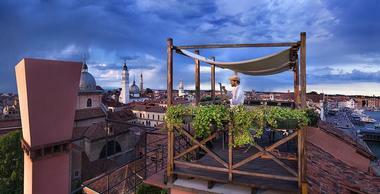 You may also like: best romantic getaways in Venice, Florence, Tuscany, Rome and Amalfi. 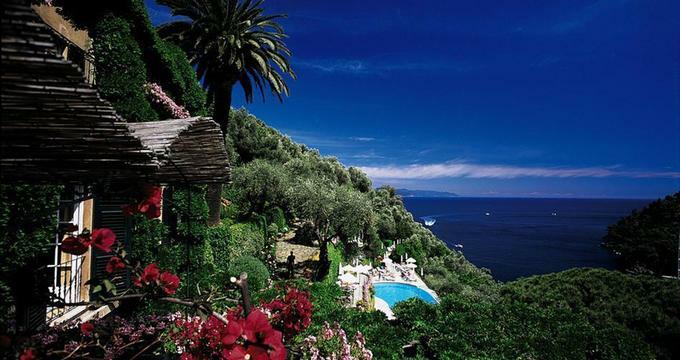 Hotel Splendido, located high above the sea in Portofino, recently completed a renovation of its two unique Junior Suites on the top floor. Both suites offer spectacular ocean views from their large balconies. The interiors feature fine Italian contemporary decor and plenty of light which falls in through the large windows. There are 65 luxury rooms and suites, favored by couples looking to relax and get pampered. The spa offers a "Garden Massage" treatment where you get massage surrounded by terraced gardens and flowers, a perfect way to experience the beautiful Italian gardens to their fullest. Enjoy the fragrant air of coast as you receive this unique massage. You can also take yoga and Pilates classes to strengthen and tone your body. When booking your room or suite, ask for a terrace facing the sea. Rooms start from 560 Euro per night. The "Romantic Escape" includes: Luxury accommodation, Welcome amenities, Daily buffet breakfast, One candlelit dinner for two, One poolside buffet lunch, and A Sunset Cruise along the Portofino coast. A 3-night stay is required with this offer. The "Great Affordable" offer includes: Luxury accommodation, Welcome amenities, Two meals in the hotel's restaurants, Boat tour in the Gulf of Tigullio, Round-trip airport or train station transfers, Daily buffet breakfast, One poolside buffet lunch and a Two-hour tennis court rental (+39 0185 267 801). Grand Hotel Timeo is located high up on the rugged hills on the Eastern coast of Sicily, offering stunning views of the island's volcanic coastline, turquoise blue sea and the snowy peak of Mt. Etna. The property has a feel of a 19th century villa and is popular with celebrity guests such as Liz Taylor. The hotel is located next to an ancient Greek theater, so you will be surrounded by ancient Roman ruins. Ask for one of the suites in the main Tineo building which are decorated with antique furniture and original paintings. The suites have Jacuzzis on the terrace. Superior rooms are also a great choice because they offer jaw-dropping views of the Bay of Naxos from their private terraces and balconies. Guests can dine in the main dining room or outside on the terrace which overlooks Cape Taormina, Mount Etna and the coastline. The poolside restaurant, open for lunch between May and the middle of September, serves Mediterranean and Sicilian dishes, including freshly-caught fish, salad buffet and brick-oven pizza. Literary Terrace & Bar is the place for relaxation where you can sip regional wines and Italian cocktails in a romantic garden setting. The Spa utilizes all-natural signature products in its rejuvenating treatments. The Wellness Center has massage rooms for individuals and couples, a steam bath, sauna and a hair salon. Choose from a diverse menu of treatments, including wrap and scrub treatments, sugar scrub, Neroli flower massage for couples, Rose massage for pregnant women, Camomile and Lavender massage, age-repair facials and more. Get married in Sicily with the help of expert wedding planners. Wedding venues include villa gardens, oceanview terrace and the adjacent Villa Flora which can be rented for special events. Room rates start at 581 Euro per night (+39 0942 23801). Famous Film Director Francis Ford Coppola restored a beautiful 1892 palace in his grandfather's hometown Bernalda in the South of Italy. 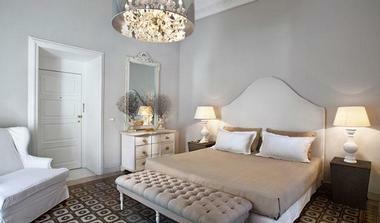 Hotel guests are accommodated in nine elegant suites which were custom designed in Italian country house style. Suites have luxurious bathrooms with a clawfoot bathtub and separate glass shower. Doors open out to reveal a courtyard garden and fountain, perfect for relaxing surrounded by nature. Each suite has a sitting area and large windows that let in plenty of natural light. Meals are tailored to each guest's individual preferences. The hotel is surrounded by local farms that grow delicious fruits, vegetables and grapes used to make excellent wine. Guests are welcome in the hotel kitchen to observe and participate in traditional cooking of Basilicata (also known as Lucania). Chefs give daily hands-on classes demonstrating how to prepare typical regional dishes. Other dining options include Cinecitta Bar, a traditional cafe and pizzeria that overlooks the town square. The Family Bar is an intimate private bar and dining room. The Pool Bar is located in the garden and offers a selection of wine and cocktails. Guests can request food delivery from the main kitchen in their suites and by the pool. Francis Ford Coppola spent five years restoring the 19th-century residence until it was just perfect. Rates start at 780 Euro for two nights (+39 0835 549060). Ottmanngut Suite & Breakfast in northeast of Italy offers nine romantic guest accommodations that have been individually furnished and impeccably decorated. Guest rooms are flooded with sunlight and no detail has been overlooked in creating a beautiful environment. Famous German painter Friedrich Wasmann painted the Otmanngutt garden from the Wasmannzimmer room. 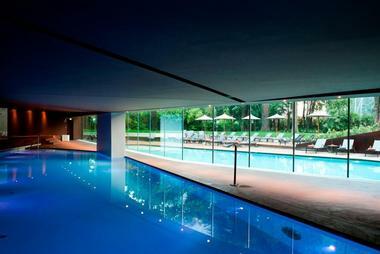 The Merano Spa has thirteen covered pools, eight saunas, twelve outdoor pools and the Botanical Gardens. Ottmanngut offers a breakfast of Lagundo dairy, Sterzing yogurt, cheeses from the Val Venosta, strawberry jams from the Val Martello, and breads from the Ultner Brot bakery. For snacks, savor homemade cakes, tarts, and snacks, as well as local preserved meats and cheeses. The food is prepared with organic and local ingredients. Staff is happy to make recommendations and reservations for the best local restaurants to visit. Couples planning a trip to the South of Italy can check into the San Domenico Palace Hotel in Taormina, Sicily, which has some of the best ocean views and spectacular suites. The hotel is located in a converted monastery and offers great dining and a European spa. Taormina is famous for its sandy beaches, great views and delicious cuisine. The Sicilian town has is a popular tourist destination and attracts many celebrity guests. Book the Garden Suite which has a spacious oceanview terrace with a Jacuzzi. The terrace can be made completely private by closing outdoor drapes over the Jacuzzi and the deck, perfect for honeymooners. 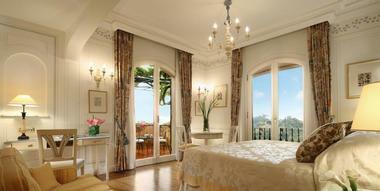 Another great option is the Grand Suite, decorated in Art Nouveau style. Enjoy sweeping views of Taormina Bay from your private terrace. This suite has two marble bathrooms, a master bedroom and living room. The Beauty Center offers a menu of massages, facials, manicures and pedicures. The Principe Cerami is open from April to October and has two Michelin stars. It's one of the top restaurants in town. Les Bougainvillees, open year-round, serves Sicilian specialties and classical international dishes. 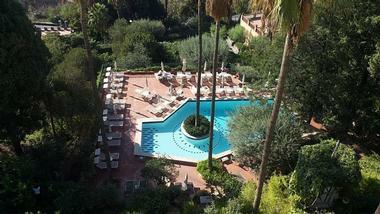 There are three bars: The Cloister Lounge Bar, The Oratorio dei Frati Grand Bar and the Pool Bar. Listen to piano music and relax with a drink. Room rates at the hotel start at 410 Euro per night. Mezzatorre Resort is a stunning island getaway surrounded by a natural park and incredible ocean views. The hotel is built into the rocky cliffs hanging over the water. Ischia is a beautiful island off the southern coast of Italy. The volcanic island features hot springs and volcanic mud known for their healing properties. The Deluxe Grand Suite, Tower, is a great suite to book, featuring incredible ocen views and a bathroom with a large Jacuzzi bathtub. Outside on the terrace you will find a second Jacuzzi and a solarium. Ask for a room facing the ocean - the added cost is well worth it once you see the view through the window. The property has two restaurants serving gourmet Mediterranean dishes. Room rates start at 490 Euro per night (+39 081986111). Plan a romantic getaway to Perugia and stay at Hotel Brufani Palace in the historic center of the city. The hotel offers a great European spa and scenic valley views. The property originally opened its doors in 1884 and has hosted many famous guests, including the Queen Mother and Prince Albert of Monaco. The property is located near Perugia's historic attractions, shops and restaurants. There are 94 rooms and suites decorated in a regal style with high ceilings and ornate chandeliers. 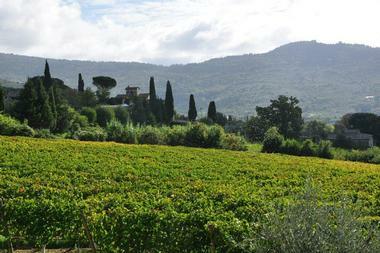 Ask for a room or suite with a view of the valley in Umbria. Walls of the guest rooms are decorated with frescoes and tapestries. The bathrooms offer spacious layouts and pale marble. 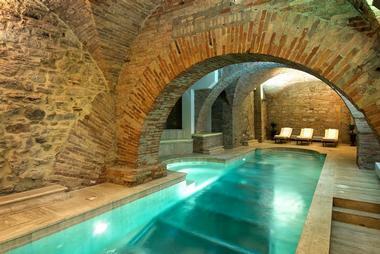 The indoor pool looks onto ancient remains of an Etruscan settlement. Spa services include anti Jet-lag massage, Aromatherapy, Deep tissue, Ayurveda massage and Head Massage. The Collins' Restaurant serves refined dishes inspired by regional cuisine. Room rates at the hotel start at 125 Euro per night. 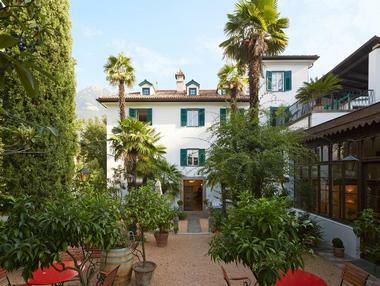 Villa Feltrinelli on the southwestern shore of Lake Garda has just 21 rooms and suites, offering guests luxury service, fragrant gardens and organic cuisine. Play a game or croquet, relax at the pool, take romantic walks through eight acres of landscaped Italian gardens and enjoy stunning views of the mountain lake. Each of the 21 guest accommodations is individually decorated with frescos, Murano glass chandeliers, unique wallpaper and plush velvets. Ask for a suite with a private patio and entrance. 70 pieces of antique furniture found throughout the villa date back to the late 1800s. Over 1,000 additional antique and custom-made furnishing were brought in to complete the romantic ambiance. There are three guest houses connected with lantern-lit paths to the main building. The guest houses have rustic exteriors and stylish interiors featuring Italian decor. Relax by the pool, sample homemade ice-cream waiting in an old-fashioned gelateria cart parked in the nearby shade and go on a boat ride aboard the villa's private boat. Enjoy gourmet Italian dishes made from organic vegetables and herbs, great local cheeses and wine. Northern Italy prides itself with delicious interpretations of pasta, gnocchi and risotto dishes. The hotel is open during the warmer season, from April through to October. Junior Suites start at 1,000 Euro per night, Cottages from 1,350 Euro (villafeltrinelli.com). Seven Rooms Villadorata is an exquisite ancient palace which was converted into a luxury bed and breakfast in the heart of Noto in Sicily. Once the home of aristocrat Giacomo Nicolaci di Villadorata, the beautiful Baroque building is now a spectacular escape that will make you feel like royalty. Honey-hued walls embrace frescoed ceilings and vast windows, gilded tiles and beautifully appointed rooms with private balconies and breathtaking views over the valley. Guest suites evoke distinctive charm, with designer furnishings and imported linens, while amenities, such as flat screen televisions, iPod docking stations, air-conditioning, and deluxe Ortigia bath products add a modern touch. A wholesome European-style breakfast is served each morning on the sunny patio and refreshments, drinks, and Nespresso coffee is available all day. Get out and about and explore beautiful Noto, which has several magnificent Baroque buildings, climb up the bell tower of Chiesa di San Carlo al Corso for panoramic vistas or head to the golden beaches of the Vendicari Nature Reserve where you can swim and snorkel. Rooms start at 190 Euro per night. 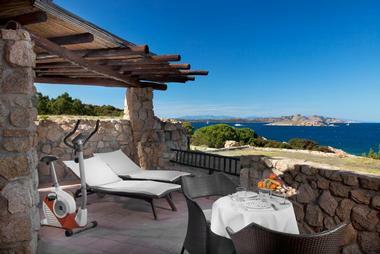 Hotel Pitrizza in Costa Smeralda, Italy has a feel of an exclusive ancestral island home. The hotel has a pool carved out of rock overlooking the Mediterranean Sea in Porto Cervo, Sardinia. The property is a perfect romantic getaway for couples seeking tranquility, privacy and spectacular ocean views. 49 luxury suites and 9 unique private villas are furnished with Sardinian fixtures and Italian marble. Inside, you will find state-of-the-art amenities and beautiful views of the Liscia di Vacca Bay. The restaurant serves lunch and dinner featuring traditional Sardinian specialties and Mediterranean cuisine accompanied by breathtaking views of the sea. Cocktails and light meals are served at Bar Pitrizza which offers live piano music. Skilled private fitness trainers ensure a rewarding wellness and fitness experience for guests using high-tech fitness equipment in the hotel's two complimentary indoor and outdoor Fitness Centers. Play golf at the nearby Pevero Golf Course, an 18-hole, par-72, 6,678-yard course surrounded by natural lakes, eroded rock formations and scents of myrtle, wild strawberry and juniper. The mistral-swept landscapes heighten the challenge of each stroke that creates a thrilling yet unforgettable golfing experience. The hotel offers a choice of recreational activities; tennis, yachting and diving at the nearby Cervo Tennis Club and Diving Center. Several designer boutiques are a short ride away from the hotel. The hotel can host a romantic wedding for up to 40 guests. 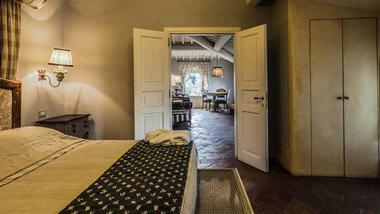 Romantic suites at Pitrizza start at 665 Euro per night. 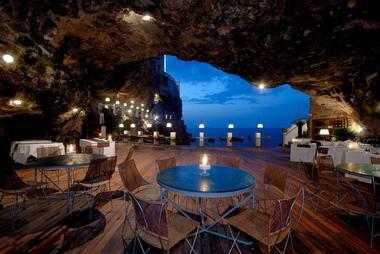 The Hotel Grotta Palazzese in Polignano a Mare is a romantic Italian getaway carved into a cliff above water. Luxurious rooms and suites are carved out of the rock, providing a unique setting for couples and honeymooners who love water views. Furnished with local antiques and modern amenities, the 25 rooms have en suite bathrooms, Satelite TV, minibar and air conditioning. Ask for a room facing the sea for most romantic views on your honeymoon or couples getaway. Explore the neighboring towns with popular bars, restaurants, pizzerias and shops. The property has a sun terrace and a romantic restaurant is a cave setting. When the candles are lit at night, the atmosphere at the restaurant is perfect for a wedding proposal or an intimate celebration in Southern Italy. The historic town of Polignano a Mare sits on top of a cliff with sea caves. Grotta Pallazzese is the largest cave underneath the town - that's where the restaurant is located. The property offers a shuttle service to a nearby beach. Guests have access to the mooring facilities if you are arriving by boat. Rates are quite affordable and start at 100 Euro per night (+39 (0)80 4240677). Escape to the Tyrrhenian coast and stay at La Posta Vecchia, a luxury villa hideaway located 40 minutes from Rome. This unique hotel has a beauty center, indoor pool and its own Roman museum which houses the remains of two ancient Roman villas discovered during the Jean Paul Getty restoration in the 1960s. There are 19 individually furnished rooms and suites, each named after a famous person who has stayed here over the past centuries. The quiet guest rooms feature beautiful views of the sea and its Mediterranean gardens. Common areas are furnished with masterpieces, antique tapestries and Roman art. There is an indoor swimming pool overlooking the sea and a beauty center which offers massages, facials, manicures and pedicures. Enjoy a relaxing couples' massage on your romantic trip. >Enjoy amazing food at the Cesar Restaurant which offers dishes prepared with seasonal ingredients. The restaurant offers romantic outdoor seating with beautiful views of the sea.Immerse yourself in the romantic atmosphere of the hotel with one of these specials. The "Seaside Romance" offer starts at 596 Euro per person and includes: Two nights, buffet breakfast, basket of fruit, sparkling wine, 1 candlelight dinner, 1 breakfast, 1 couples' massage, calidarium for 30 minutes, guided tour of the on-site museum and a 20% discount on body treatments. Doubles start from Euro 440, suites from Euro 880 per night. Fly to Rome’s Fiumicino Airport where to you can rent a car. The hotel is 25 minutes from the airport. Alternatively, limousine and helicopter transfer can be arranged by the hotel which has its own heliport (+39-06-994-9501). Villa Bordoni is a romantic getaway in Tuscany, Italy, offering gourmet food, an extensive wine cellar and romantic accommodations. The Cappella Standard Double has a large window that looks into the Italian garden, custom-made furniture, gray and white striped walls and a queen sized bed while the Limonaia Garden Double features an outdoor living area with a retractable roof and a queen sized bed. The Mezzuola Classic Double has a four-poster king sized bed, a hooded armchair, and other unique decoration elements while the Montefioralle Suite has a king sized bed, walk-in wardrobe and bateau bathtub right near the foot of the bed. There is the Colognole Suite, which is the largest suite, the Junior Suite, and the Family Suite, which has a living room on the first floor and two bedrooms and two en-suite bathrooms on the upper floor. The three Deluxe Doubles offer plenty of natural light and countryside views. Il Falconiere is a villa getaway with a spa in Arezzo, with a beautiful garden and an outdoor pool. In addition to enjoying the countryside and tasting Italian wines, you can take a full weekend cooking class. Bring some Tuscan-style cooking back home after your vacation has ended. Classic dishes prepared in class include hand-made pasta, bread or special traditional dishes. The are four types of accommodations including: Classic, Deluxe, Junior Suite, and Suite. All of the rooms have a private bathroom (some with showers, others with Jacuzzi tubs), mini-bar, telephone, satelite television, and air-conditioning. Suites have a separate sitting area and two bathrooms - these are beautiful honeymoon suites if you are looking for a honeymoon vacation idea. The hotel grounds are quite spacious, providing different dining spaces. Lunch and dinner, depending on the season, are served in the old Limonaia, in the small dining rooms upstairs, or on the old terrace. The terrace is surrounded by a Tuscan garden with cypress trees and a horse-chestnut avenue where guests can have afternoon tea or a pre-dinner cocktails. 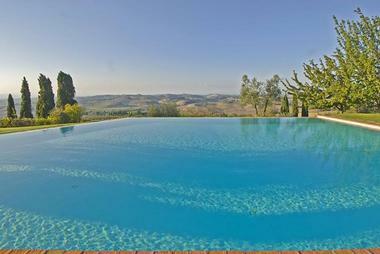 The villa is 165 km from Rome, 83 km from Florence, and 47 km from Siena. If you are comfortable driving in Italy, rent a car and drive to the villa. Room rates at Il Falconiere are: €260 for a Classic Room, €320 for a Deluxe Room, €420 for a Junior Suite, and €560 for a Suite (+39 0575 612679). Costa Smeralda is a famous beach vacation destination on the Italian island of Sardinia. Known for its sandy beaches, ocean views, fashion shows, concerts and boutiques, the island is especially popular during the summer season. 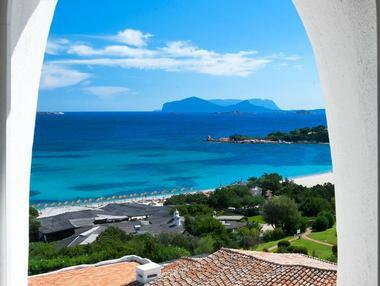 Hotel Cala di Volpe has 97 rooms and 17 suites, all facing the ocean to offers guests the best possible views. 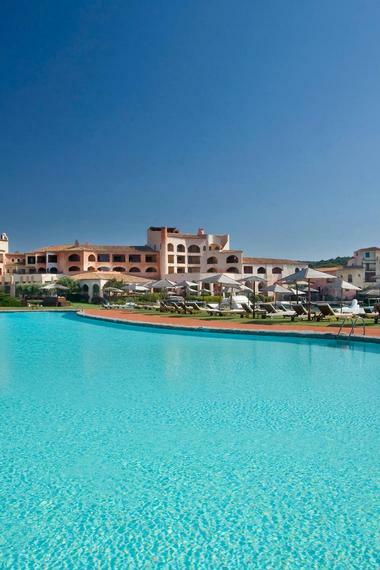 There is a private white-sand beach, a large outdoor pool and access to the 18-hole Pevero Golf Club. The area offers an array of water sports, horeback riding, fishing, tennis and many other activities. The restaurant is the perfect spot for a romantic candlelit dinner with water views, serving delicious Mediterranean and Sardinian dishes. The private wine cellar Le Cave has over 400 bottles of the world's finest wines. Several bars offers casual dining and drinks throughout the day. Rooms at the hotel start at 295 Euro, suites from Euro 2,040. 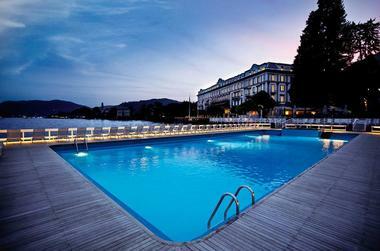 Villa d'Este is a luxurious getaway located on the shores of Lake Como. The property has a spa and three pools: an indoor pool, an outdoor pool, and one that floats in the lake. There are eight tennis courts, a squash court, sauna and steam bath. The spa offers numerous body treatments that will almost guarantee that you will feel relaxed. Boat excursions, windsurfing, canoeing, and waterskiing can all be enjoyed on the lake. For golfers, there are seven 18-hole golf courses nearby. There are 158 guest rooms, including 83 double rooms, 56 junior suites, and 14 luxury suites. No two rooms are alike in size and decor. The rooms are air-conditioned and have marble bathrooms, satellite television, internet access, and a mini-bar. Stay in a meticulously restored 19th Century villa on the shores of Lake Como. 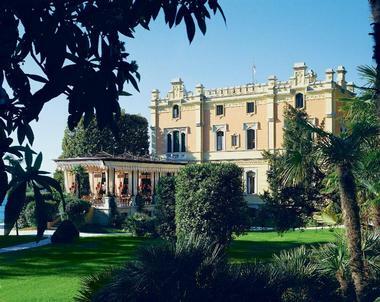 Villa d'Este offers two private villas within its 25-acre park. Guests experience the luxury of their own house while having access to all of the facilities at the resort. Malakoff and Cima are available for short term hire with full housekeeping and hotel service. Villa Cima was originally built in 1814 by the Princess of Wales and future Queen of England. The house features luxurious decor, antiques, art and windows that frame spectacular views of the lake. There is a living room, dining room, sleeping quarters, and a kitchen. Malakoff was built in 1860 on a small hill. The 3-story villa enjoys spectacular lake views. The main restaurant at the hotel, the Verandah, serves breakfast, lunch and dinner and overlooks the lake and the classical garden. Hand-made fresh pasta, risotto and fish are house specialties. The Grill Restaurant is open late into the evening and has an outside terrace which is open in the summer months. The property is about an hour car ride from Milan. To reach the hotel by train, go to the Como San Giovanni Railway Station. The hotel is open from March through mid November. Room rates at this five star hotel start at around €750 per night (+39-031-3481). Hotel Romazzino sits on a private stretch of sandy beach in Costa Smeralda, Sardinia. Check into one of the 78 guestrooms and 16 suites with private terraces and scenic sea views. Custom touches include handmade ceramics, fabrics and wood furnishings by local island artists. Costa Smeralda transforms into a lively spot in the summer, and becomes quiet and serene in the off season. You can visit Sardinia year round, but if you want to swim in the sea plan a trip during the warmer months. The hotel has a private sandy beach, a saltwater swimming pool, two fitness centers (poolside and indoor) and a tennis court, providing vacationers with plenty to do. The property is a good base for exploring Costa Smeralda which offers many beaches, restaurants and boutiques. The restaurants and bars serve Sardinian dishes in a romantic setting. The menu changes often based on the available seasonal ingredients. Rooms start at Euro 540 in the summer (+39 (0789) 977111). 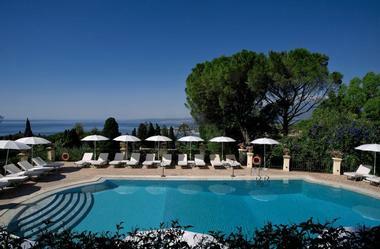 Lido Palace, once a retreat of the Hapsburg family, overlooks the stunning Lake Garda in northern Italy. The hotel has two gourmet restaurants and a luxury spa offering an array of relaxing treatments. Ask for a room or a suite overlooking the lake with Large French windows which open to reveal stunning views and the Italian countryside. There are 42 suites and rooms, including the specialty suites Baldo and Apponale which are decorated with a chic grey and black color scheme. Baldo and Apponale suites are situated on the top floor of the hotel, offering magnificent views from their private sun terraces. Rooms and suites offer either lake views or views of the park and the surrounding hills. Il Re della Busa restaurant specializes in local delicacies and seafood dishes served either indoors or on the candle-lit terrace. Tremani Bistrot is an award-winning restaurant serving international dishes and local flavors. Chef Giuseppe Sestito creates delicious entrees that let you sample the best of Mediterranean cuisine. Bali Bar in the historic building has frescoed ceilings and elegant decor. Relax with a drink and chat with your fellow guests after a day of cruising on the lake or hiking on the hills. CXI Centoundici Spa is a 15,000 square foot facility with contemporary interiors. The spa offers an extensive menu of treatments, including aromatherapy, Ayurvedic treatments, hot stone therapies, reflexology, wraps, scrubs, facials and classical massages. The spa has Finnish saunas, Mediterranean baths, steam baths and tepid baths. Plan a grand Italian wedding which offers a team of wedding planners who take care of every detail, including decorations, food, the wedding cake, and gifts for the bride and groom. Wedding plans can be customized to fit your taste. Room rates start at 705 Euro per night (+39 0464 021899). If you are planning a romantic trip down the coast starting in Naples and then heading south to Amalfi and Capri, the Excelsior Vittoria hotel in Sorrento is a beautiful place to stay in the Bay of Naples. Just 30 miles south of the Naples airport and near Pompei, the hotel is a perfect starting point for exploring the coast. Owned by the Fiorentino family for over 160 years, the property offers unforgettable views, beautiful rooms and delicious Neapolitan cuisine. There are 78 rooms and 20 suites located in three adjoining buildings. Be sure to ask for one of the rooms with a view of the bay when making a reservation. 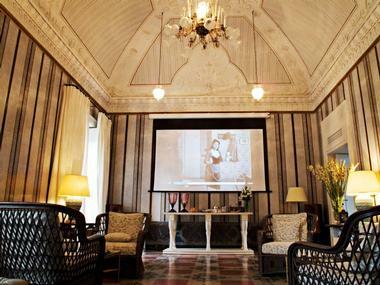 The suites are spacious and grand with magnificent frescoes and antique furniture. Suites are named after famous guests that stayed at the hotel as well as various themes. The Margaret Suite, named after Princess Margaret, features antique furniture from the early 19th century and a cast iron enameled bathtub. The Pompeii Suite has high ceilings with frescoes with images of the Roman Empire. Boutique Spa La Serra offers relaxing treatments in an elegant setting. Plan a trip to Italy to de-stress and rejuvenate. Suites are located in a renovated 19th century greenhouse surrounded by a lush Mediterranean garden. Couples can book a luxurious double suite with a Jacuzzi for two. Treatments include signature rituals, facials and massages which follow the holistic Feng Shui approach. Products used during treatments include Environ skin care and Cinq Mondes Paris. In addition to the suites, facilities include a swimming pool with a solarium and whirlpool hydro-massage. Relax next to the pool after your massage. There are two restaurants - the Vittoria and the open-air Bosquet Terrace, open from May to October, which overlooks Mount Vesuvius. Both restaurants serve delicious Neapolitan cuisine featuring fresh local vegetables, fish and fruit. 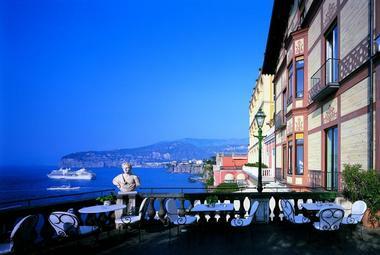 The Grand Hotel Excelsior Vittoria in Sorrento is located 30 miles south of the Naples airport. The best way to get around is by car - rentals are available at the airport. Doubles start at Euro 240; suites range from Euro 495 to Euro 2,010 per night, including breakfast (+39-081-807-1044, exvitt.it). The Concordia Hotel is the only hotel located in St Mark's Square with some of its rooms enjoying views of the famous basilica and the square. The property is privately owned by the Beggiato family and has been restored in 18th century Venetian style. The staff at the hotel is attentive and helpful. Since we arrived late at night, we were greeted with a plate of assorted Italian pastries. Guest accommodations, decorated in a specific color motif, such as green, pink or yellow, make you feel like you have stepped into 18th century. Details include a Venetian mirror, a headboard embroidered with gold, a Murano glass chandelier, and a marble bathroom. Light breakfast is served in a room on the first floor overlooking Piazza San Marco. In the evening, dinner is served in the same "Restaurant la Piazzetta." Get away to the Italian Riviera and explore charming Italian coastal towns, including Portofino, Genova and Sestri Levante. 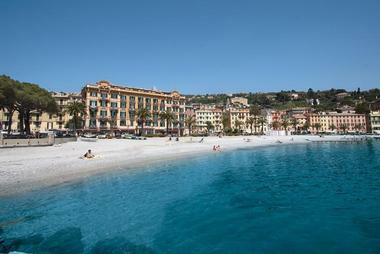 Stay at Lido Palace, located in Santa Margherita Ligure. You'll be able to take quick day trips to Portofino, San Fruttuoso, Rapallo, Cinque Terre and many other great places. The hotel is located within walking distance from the beach, near many shops, historic attractions and restaurants. The hotel offers 54 rooms and suites, including classic, superior, deluxe, junior suite and privilege suite. Most rooms and suites face the sea, letting you enjoy great views. Ask for one of the rooms on a higher floor for best views. The Junior Suite Deluxe has a sea view and a balcony, letting you enjoy breakfast with a view of the water. 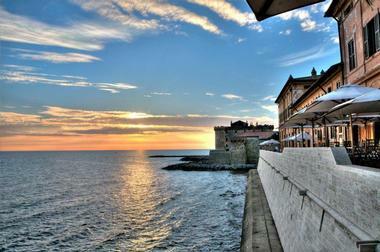 La Ghiaia restaurant serves local Ligurian as well as Italian and international dishes. You will find a great selection of wines to accompany your meal. There is a spa and fitness center with views of the water. Spa services range from quick massages to more involved wellness programs. Junior Suites with balcony start at 240 Euro per night (+39 0185 285821). Aquapetra resort combines a relaxing spa vacation with great food and quiet surroundings. 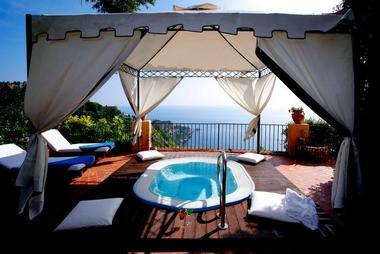 The resort is located in a charming Italian village in Campania. It offers colorful rooms and suites, and a gourmet restaurant serving delicious creations. The spa measures about 6,500 square feet in size and has an indoor/outdoor pool for swimming and relaxing. The spa is located in a quiet olive grove overlooking the pool. Facilities include an indoor Jacuzzi, sauna and steam rooms. The spa offers twenty different massage techniques performed using rare essential oils, special therapeutic mud and hot stones. You will be surrounded by beautiful mountains and lush forests which you can explore on foot. If you have time, explore nearby historic sights or take a pottery class. Packages at the hotel start at 240 Euro per night. VacationIdea.com Tip: Special offers are frequently available throughout the year, so be sure to check for packages. Known for its delicious Mediterranean food and wine, Taormina is a resort town located on the island of Sicily. You can spend your days enjoying romantic walks in the beautiful gardens and exploring the town's Greek and Roman ruins. There are 47 rooms overlooking the terraced gardens, the Bay of Naxos and Mount Etna. If you are planning a trip in the summer, you will be able to enjoy the hotel's pool, surrounded by orange and lemon trees. The hotel is situated high above the sea level. To reach the sea, you will have to take the nearby cable-car or walk down the steps. During the warmer months, from April to October, lunch is served by the pool. In the evening, there are numerous excellent Italian restaurants to choose from in Taormina. The town's cobblestone streets are filled with laughter, ice cream shops and outdoor cafes. Sicily has two airports - in Catania (50 minutes by car from the hotel) and in Palermo (3 hours from the hotel). The hotel is open from March 10th through November 20th; and from December 19th through January 15th. Doubles range from € 120 to € 198; suites from € 160 to € 250 (+39-0942-23791). Located near St. Mark's Square in Venice, overlooking the lagoon and the island of St. George, Londra Palace is a romantic getaway idea that dates back to the 19th century. 73 hotel rooms were converted into 53 rooms and suites furnished in authentic 19th century style. The Superior category rooms overlook the city, while the Deluxe rooms feature views of the lagoon. To experience a bit of history, book the room number 106, where the Russian composer Ciajkovskij created his Fourth Symphony. To reach St. Mark's Square, walk along Riva degli Schiavoni, across the Bridge of Sighs. Enjoy the city all to yourself early in the morning, before the pigeons wake up and the streets become crowded with tourists. Do Leoni restaurant offers outdoor seating during the warmer months. The restaurant serves innovative dishes and offers a view of the lagoon. If you are flying, take a 25-minute water taxi from the Marco Polo airport (about € 80). If you are arriving by train, a water taxi from the Santa Lucia train station costs about € 50. Public transportation is also available - the public vaporetto stops at San Zaccaria station right in front of the hotel. Snuggled in one of the most beautiful parts of Tuscany in a tiny medieval hamlet in the lush hills of Lucignano d’Asso, a charming old town near Sienna, Borgo Lucignanello is a unique hotel that offers breathtaking views of Tuscan’s ancient hills, combined with all the latest modern facilities. The hotel consists of five apartments and the farmhouse, beautifully decorated in a rustic Tuscan style, with exposed beams in the high ceilings, travertine tiles, hand-made Tuscan furnishings, and trompe-l'oeil motifs. Each individual unit has a fully equipped kitchen, dining space, comfortable sitting rooms with a sofa and working fireplace, private luxury bathrooms, free Wi-Fi, and flat-screen TVs. Guests enjoy a peaceful outdoor pool, a massage center, and a beautifully landscaped garden with BBQ facilities.